Remember the erstwhile holiday variety special? They were abundant in my youth. I remember the Mandrell sisters, Donny and Marie, Sonny and Cher, the Star Wars gang… every TV show in the 70s and 80s seemed to have a bizarre, celebrity-laden lovefest where it seemed like they'd been hitting the punch pretty heavily and then started singing Christmas carols set to a disco beat. And who could forget the truly odd Little Drummer Boy duet with Bing Crosby and David Bowie? It's just not the holidays without that schlock. Apparently I'm not the only one who feels that way. 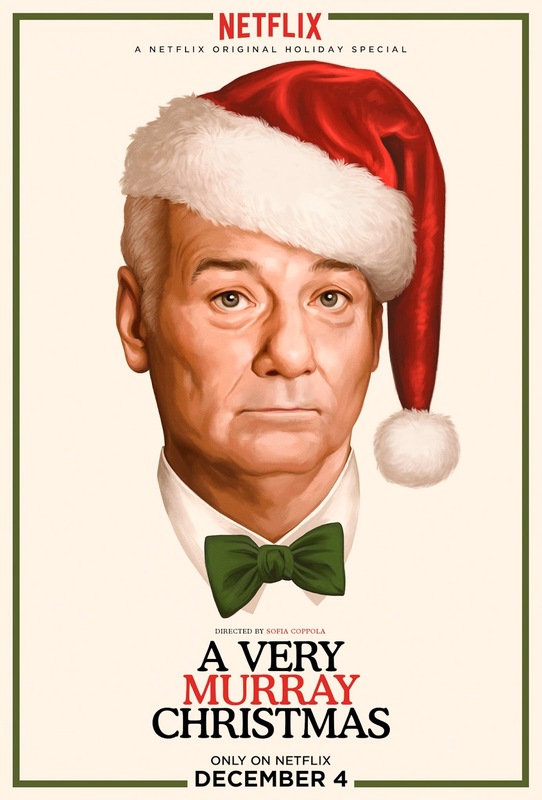 Witness the awesome weirdness of A Very Murray Christmas, currently streaming on Netflix. I mean, who better than legendary omnipresent celebrity Bill Murray to emcee the holiday hijinks?! Here's a little taste of something you never really knew you wanted, Bill Murray laying down a slinky soul Santa song with George Clooney adding in the booming bass. Ah, yeah. The Big Bad Book of Bill Murray: A Critical Appreciation of the World's Finest Actor is jam-packed with Murray-ephemera that celebrates the laconic wit and wisdom of one of the most versatile talents ever to grace the screen. And he's not halfway finished yet. Follow @Netflix for more information on A Very #MurrayChristmas this holiday season. And then cleanse your holiday palate with a little Jessica Jones for good measure.